Blue Sky Pressure Washing is your Eco Friendly company in New Hampshire & surrounding communities of Concord, Nashua, Manchester & Portsmouth area! 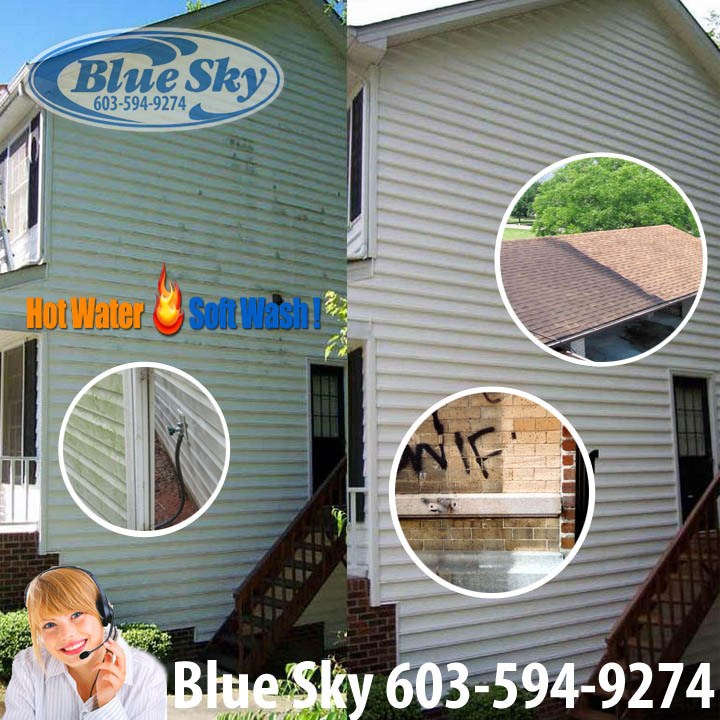 Call Blue Sky Power Washing in New Hampshire for a Quote for your roofing “ugly shingles”, vinyl, asphalt, pavement, & clapboard Cleaning! New Hampshire 4 season weather can create algae, dirt, grime and mildew on your home & vinyl siding & shingles and if not cleaned, can cause costly repairs, renovations or replacements. Blue Sky offers low pressure roof washing service cleaning the black streaks on asphalt shingles is known as roof algae, It will only get worse if not taken care of.